It took me a while to come to this album produced by Incognito’s Jean-Paul ‘Bluey’ Maunick. I was reluctant not because I had any doubts it would be good but because it was immediately swept into the “smooth jazz” realm. I have a tentative relationship with that genre. On the one hand, Incognito’s instrumental work and other artists who have attracted that descriptor (e.g. George Benson, Bob James) have created an amazing body of work that respects jazz’ tradition while embracing elements of soul, funk, and even pop music. On the other hand, there is a sizeable slice of “smooth jazz” that remains bland and formulaic. People of Tomorrow falls easily into the first category – great jazz music with latin and soul influences. But it wasn’t until a recent listen to the track, “Yesterday Detroit” did it hit me why this album is special. At times, it rekindles a sound in jazz music that Donald Byrd and the Mizell Brothers perfected some 30 years ago. Having just lost Donald Byrd last year, it’s a fitting tribute, even if unintentional. Listening to “Yesterday Detroit,” Domenic Glover’s trumpet solos are reminiscent of Byrd’s expansive style. The title track is similarly steeped in Glover’s trumpet. Combined with steady rhythm tracks and funk-inspired arrangements, the sonic landscape of a classic album like Byrd’s Places & Spaces (Blue Note, 1975) springs into new life. Remarkable. 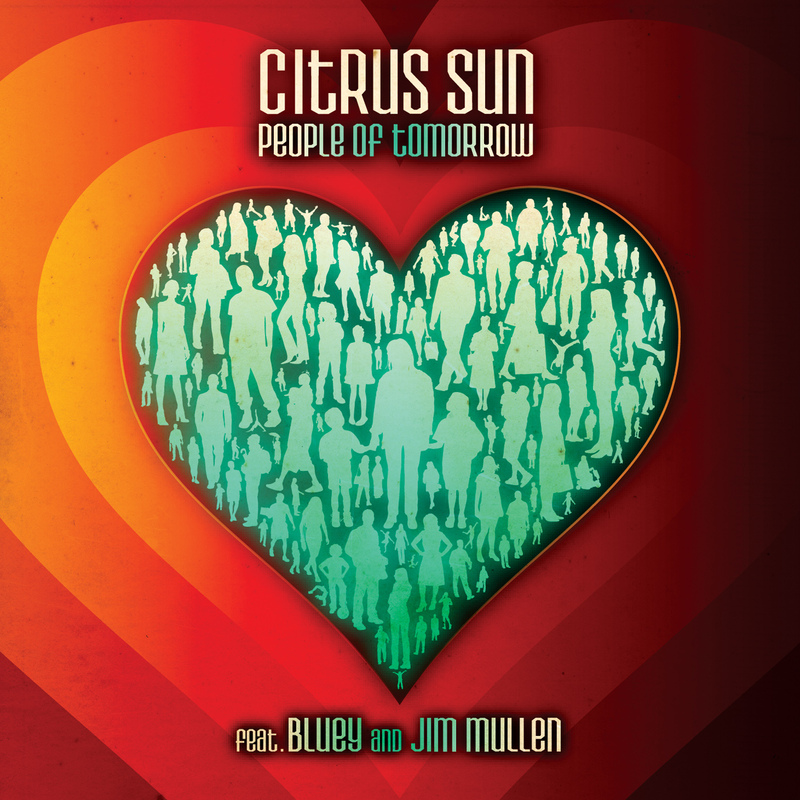 Featured on most tracks is Jim Mullen, a veteran of the jazz guitar. Comparisons to Wes Montgomery are not coincidental. Like Montgomery did, Mullen picks with his thumb and his style is just as fluid as Montgomery’s. The lead track, “Mais Uma Vez (One More Time)” opens with an addictive melody, expands into a luxurious solo by Glover, and closes with a Mullen solo so cheerfully easy going, you can see the smile on his face as you listen. In a promotional interview on the project, Maunick cited a Herbie Mann album someone gifted him as the inspiration for the latin jazz elements on the album. Although he didn’t name the album, my guess is he was talking about Do the Bossa Nova with Herbie Mann, originally released in 1963 (Atlantic reissue, 2005). People of Tomorrow manages considerable breadth in its 10 tracks. As well as the latin influence and contemporary jazz tracks, “Cooking with Walter” offers a more uptempo, dance-inspired sound, not unlike what we might hear as an Incognito instrumental (fans of the TV series Breaking Bad will get the title). Still, I have to come back to the Byrd comparison, which somehow makes me more welcoming of a new smooth jazz record. It reminds me that smooth jazz, like its ancestor, can be great given the right songwriting and musicianship. People of Tomorrow has both in spades. The Players: Jean-Paul ‘Bluey’ Maunick – Guitar; Jim Mullen – featured Guitar; Matt Cooper – Keyboards, Piano, Fender Rhodes, Drums; Domenic Glover – Trumpet, Trombone; Pete Ray Biggin – Drums; Richard Bull – Drums, Acoustic Guitar, Keyboards, Organ, Percussion; Joao Caetano – Percussion; Randy Hope-Taylor – Bass; Francis Hylton – Bass, Drums, Guitar, Keyboards, Piano; Francesco Mendolia – Drums; Valerie Etienne – Vocals. 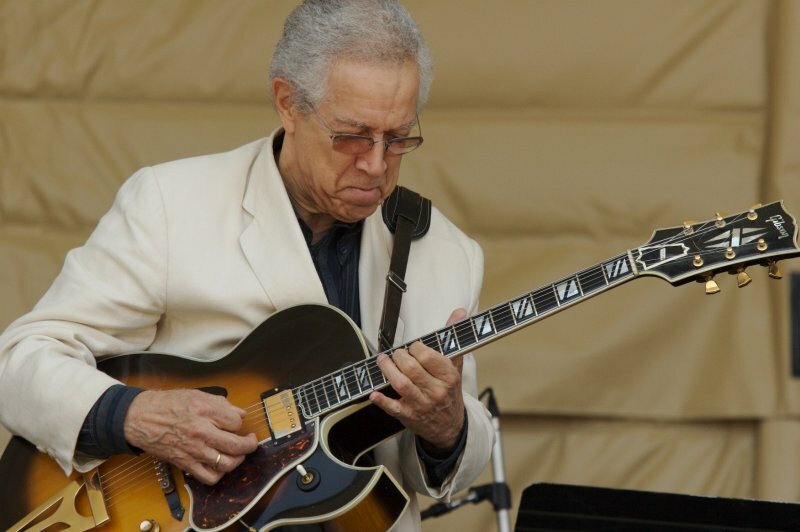 I’ve recently become re-enamoured with Kenny Burrell’s music. He is a remarkably naturalistic jazz guitarist who is still going strong today. Most would reference Midnight Blue (Blue Note, 1963) as a definitive record for him. It is certainly one of the finer jazz recordings in my collection. But my favourite, 1985’s Togethering with Grover Washington Jr., is no longer on issue from Blue Note. There’s something about that recording that brings Burrell’s talent into vivid focus. It is mostly an upbeat record with more of a bossa feel than his other work. The duets with Washington are clearly the work of two masters in perfect tune with one another. In my as yet fruitless search for downloads of this album, I’ve gleaned other guitarists of his ilk and mapped out a musical family tree that may help those of you wishing to broaden your jazz guitar collection. Which “Jazz Guitar” am I talking about? Jazz is such a broad genre and anyone writing about “Jazz Guitar” is prone to boiling the ocean. I’ll draw my boundaries around those musicians who play the archtop guitar also known as the “jazzbox.” I’ll further narrow focus on those who play their guitars in the context of primarily improvised jazz music with traditional band make-ups such as jazz trios, quartets etc. For this reason, you won’t find mention of some notable electric guitar ambassadors like Chet Atkins, Les Paul, Pat Metheny, and Stanley Jordan. Many histories of the jazz guitar name Django Reinhardt as one of the founding fathers of the instrument. Indeed, he was a pioneer. But his influence on the particular genre of guitar characterized by Kenny Burrell’s music was indirect, in my opinion. His was more influenced by Roma folk music and closer to flamenco than jazz. Next in line is Charlie Christian and this is where the family tree really begins. Christian played in Benny Goodman’s big band and was one of the first to successfully feature the guitar as a bonafide solo instrument. Before then, the guitar was on the fringe of the then popular big band sound. 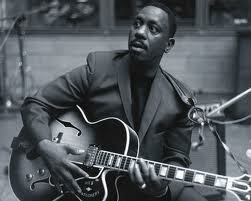 Christian was an influence on Wes Montgomery, who is also touted as the patriarch of the jazz guitar family. If Charlie Christian brought the instrument into the listener’s mainstream, it was Montgomery who made young musicians want to play it, and play it like him. To me, the 1950s and 60s were the Golden age of jazz music. These were the years of timeless Blue Note recordings, innovative arrangements, and a cross-pollination of side-men and leaders that marked a prolific era in music. As a sideman, Kenny Burrell played with Oscar Peterson. He recorded with many of the greats of that era including Dizzy Gillespie and John Coltrane. In his own right, Burrell recorded many albums through the decades and has also become a beloved music educator. Another notable of this era is Joe Pass, who played along side Frank Sinatra, Sarah Vaughan, and most notably, Ella Fitizgerald. He was celebrated for his technique which broke new ground in the use of chord melodies, inversions, and progressions. Lenny Breau, another peculiarly talented technician on the guitar, flew under the radar in Canada for many years, surfacing from time to time to play on Canadian television. His first LP, Guitar Sounds from Lenny Breau (RCA, 1968) was the fruit of a friendship he had struck with Chet Atkins in the late 60s. As Jazz’ popularity was overtaken by rock and roll, and then funk and disco, there were a few trailblazers who pulled at the fringes of jazz to modernize it. Herbie Hancock was certainly the ringleader and was criticized by essentialists who didn’t understand his vision. Admittedly, Jazz can be utterly butchered if it is ‘modernized’ in a careless way. But Hancock had an old school pedigree and was successful, on more than one occasion, in making jazz relevant for a new generation. While Hancock was leading a piano/keyboard revolution, George Benson did his part for the jazz guitar. By combining soulful vocals, tunes with an R&B sensability, and his jazz guitar sound, Benson mashed up the genres and made the jazz cross-over possible. Breezin’ (Warner Bros., 1976) may be overplayed and evoke a passe disco sound by today’s standards but it is an important milestone, if only for the success it had in using a decidedly jazz sound in popular music. Benson opened the door but it was Ronny Jordan who many point to as the flagbearer of the new genre that was given the unfortunate and meaningless moniker, Acid Jazz (I could go on about how I love acid jazz music but abhor the label…but that is an entirely different subject). By the time of Jordan’s first release, The Antidote (Island, 1992), hip-hop had taken a firm hold on popular music. Rather than isolating himself from it, Jordan embraced it, and collaborated on all of his albums with producers and hip-hop artists who were able to fuse jazz, funk, and hip-hop in a natural way. Whether you discover someone else or pick one of the guitarists I cite above in my short and humble history, I hope you’ll find your own joy in the wonder of a jazzbox in the right hands.